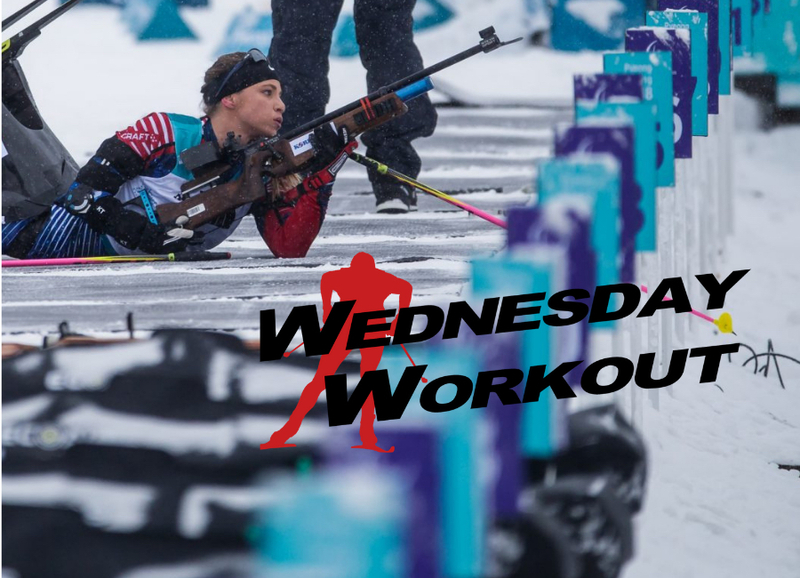 For this week’s Wednesday Workout, FasterSkier reached out to Martin Benes, the newest addition to the U.S. Para-Nordic coaching staff. Benes joined U.S. Para-Nordic this August, after five years working as the nordic skiing director and head coach at Sugar Bowl Academy in Norden, California. He is still currently living in California. Benes’s primary work is with the Para-Nordic national team: A-team members Oksana Masters, Kendall Gretsch, and Dan Cnossen, as well as B-team member, Aaron Pike. 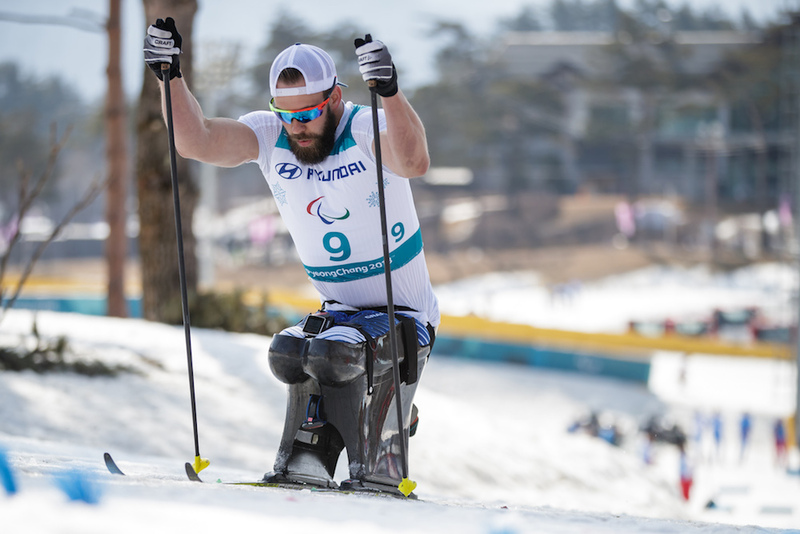 Many of those athletes compete in sports outside nordic skiing–Masters also competes in handcycling, Gretsch in para-triathlon–permitting Benes to coach remotely fairly easily through the fall. “In the summer/fall, we’re kind of operating on a camp schedule,” Benes said during a phone conversation indicating that since late August, his primary role has been writing athlete training plans. He has also facilitated three camps for U.S. Para-Nordic national team athletes. This first camp was in Torsby, Sweden, where national team athletes made use of the city’s ski tunnel from late September to early October. Following the Lake Placid camp in late October, the athletes gathered once again, this time in West Yellowstone, Mont., for the Rendezvous Ski Festival held Nov. 20 until Nov. 24. Before returning to California, Benes stayed in Bozeman to work with the national team athletes for a week after the festival. “I’ll be spending chunks of time up in Bozeman and be able to work with athletes up there going into race series,” Benes said. The International Paralympic Committee’s first series of World Cup races kicks off Wednesday, Dec. 12 in Vuokatti, Finland. (For the International Paralympic Committee’s complete calendar of cross-country and biathlon competitions, click here). Prior to this year, Benes’s primary coaching work has been with junior ski racers (he’s coached for Far West, Auburn Ski Club and Sugar Bowl Academy) and college-age athletes (he spent two years as the assistant coach for Bates College, his alma mater). On being an able-bodied coach for Para-athletes, Benes indicated that at its core, the philosophy of coaching is the same. At present, there are no former Para-Nordic athletes coaching with the program. Benes said that paralympic standing athletes’ development often mirrors fairly closely, that of able-bodied athletes. “In terms of that athlete is going to have started skiing pretty young and probably trained with their club with some modifications,” he said. There are currently two college athletes in the Para-Nordic program’s development program, Grace Miller (University of Alaska Fairbanks) and Mia Zutter (College of St. Scholastica). Like any other athlete-coach relationship, the biggest role Benes has is to facilitate the athlete’s own self-sufficiency within the sport. The following text is a workout written by Benes. Here is a workout I’ve used in the past at various points in the year with different levels of athletes. It was a staple with some of the senior-level athletes I’ve worked with during the summer and fall and I’ve also found it to be an effective workout during the race season if athletes are starting to feel flat racing. It’s a great workout for older juniors and up. For younger skiers, play some games instead. The goal is to have a steady effort threshold effort and then mix in some surges/speeds where athletes are sprinting and forcing themselves to change gears and tempo from what is already a hard effort. In that respect, it is similar to a race effort where you have to change gears and respond to accelerations, especially in mass start or sprint racing. What separates it from just an all-out race effort is that the steady effort is more controlled and therefore guarantees that the athletes are able to increase tempo and speed. Find a suitable loop for running with poles, roller skiing, or skiing. Ideally, it is gently rolling terrain. No hills that are too steep/long but with some good variety. The length doesn’t matter too much but if it’s too short it will get boring too fast. A loop that will take the athletes 4-6 minutes at threshold is good. On the loop, mark out (with cones, chalk, or dye) 2-4 short sections where the athletes will accelerate, do a speed, etc. You can mix up the specifics of the speeds. They could be forced technique, all-out speeds, accelerations, or any other variation. You’re looking for sections that should take approximately 10-20 seconds at speed. You’re good to go. Depending on the athletes, you’re typically looking for 15-35 minutes of on time. 4-6 by 10-second speeds. The focus here is quick movements. 15-35 minutes of threshold on the loop, with speeds on the marked sections. Speeds should be recognizable as a significant change in tempo/pace. 10- to 15-minute cool down.